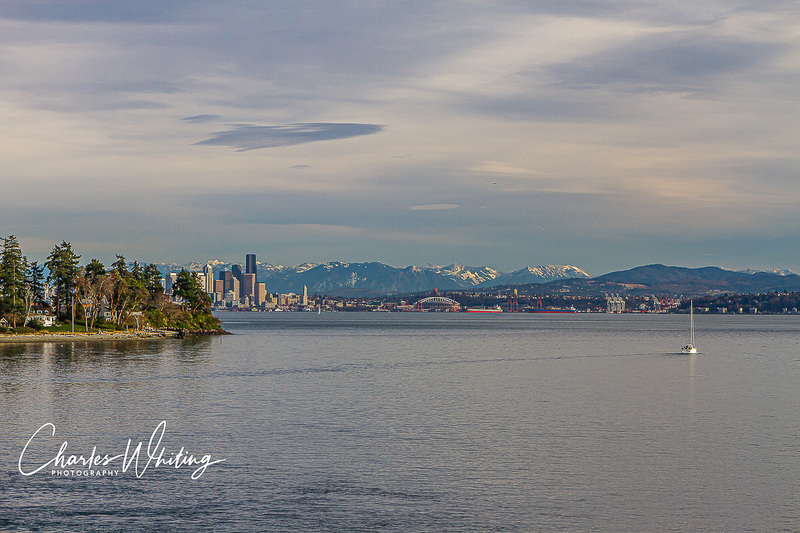 The Seattle skyline swings into view as the Bainbridge Island ferry leaves the harbor. Seattle, Washington. Photo © copyright by Charles Whiting.